Dancing to "An der Nordsee Kueste"
When I first woke up today, the sun was out, people on twitter were all a-flutter about how bright it was outside. Yes, I check my email and twitterstream on my iPod Touch before I get out of bed. By the time I got out of bed, got ready for work, and made it out the door, it had started snowing. This was NOT expected. The snow kept getting heavier, the flakes larger, the wind stronger. As I walked down the alley to work, I was holding up one of those large blue Ikea bags to shield me from being pummeled by the force of the wind throwing these huge clumps of snow at me. This evening, my coworker Svenja pointed out the unusual sunset. 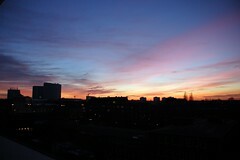 We've got a great view from the 6th floor (5th floor as Germans count it) and every once in a while the sky cooperates. 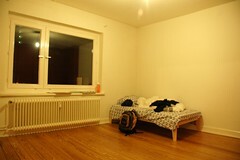 I'm about to go to sleep for the fourth time in Hamburg, I'm posting sprawled on the wooden floor in my spacious room in the Bahrenfeld section of Hamburg, not far from the eponymous S-Bahn station. I arrived without any luggage. British Airways had cancelled my connecting flight from London-Heathrow to Hamburg, so I'm charitably assuming that it's due to the fact that they rebooked me onto a Lufthansa flight that was leaving at the same time as my original itinerary, just a different terminal. Not due to gross incompetence in handling bags, which seems equally possible. I also got into Hamburg a few hours late because it was foggy in London. Um... aren't you guys used to that yet? I have two roommates in the apartment, Hendric works with me at Jimdo and Daniel's got some six degrees going on with the company as well. They're both moving out at the end of the month and then I get to live with the two trainees, Martin & Sebastian. I don't have any other furniture than the bed you see in the pictures above, but some is arriving from various sources this weekend, supposedly. 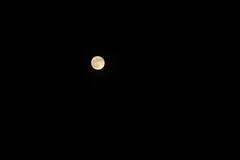 There's no light in the kitchen, which makes late night snack runs difficult (not a bad thing, necessarily. Just saying). I think we may also have one small plate, one large plate, and one large pot. So far, combined with the lack of luggage, it's kind of been like camping inside an apartment. Thankfully, one bag came on Monday (yesterday) and one came on Tuesday (today), so I've now got all my clothes, toiletries, and everything else I thought was necessary when packing last week. Matze had lent me some t-shirts and contact solution, so that helped me get through the weekend. Work's been quite exciting, challenging, and a bit overwhelming all at once. The German aspect of it is sort of limping along. I suppose I'm not particularly articulate in English either, but I've always been acutely conscious of my deficiences in German. There's definitely that start-up atmosphere, with more projects cooking than I can hope to find out about, much less understand and keep track of, people laughing and having fun, coming early, working late, etc. I really want to jump in head first, but I keep forgetting how there's so much to just absorb in the first few weeks and months at a new place. I don't even know everyone's name yet! I'm hoping I'll be able to work in some weekend trips over the next several weeks, over to Bremen to see folks like Malte, Thetje, Nadine, and Solveig (sorry if I forgot anyone...), down to Munich to see Philipp, Maria, and Gundula. It'd also be nice to visit Berlin for more than an afternoon... Sophia's there and maybe a few others I could visit. Then again, it almost seems silly to be planning trips when I haven't even managed to walk around the neighborhood I'm living in! I wrote this on October 28th, 2008. I've waited to post it because, well, I didn't want want to prematurely announce anything. Looking at it a month and a half later, it's pretty tl;dr. Dive into my jumbled morass of thoughts at your own risk. Sunday morning: miss flight from London to Hamburg because transatlantic flight arrived late for an already tonight connection (only 1 hour). Get rebooked to Hamburg via Duesseldorf by a really spaced out bordering incompetent British Airways agent, run like mad to catch the flight to Düsseldorf, pushing through long lines at every turn. Sunday afternoon: At the Duesseldorf airport I had a 3 hour layover before the flight to Hamburg. I could have probably taken the train and made it there more quickly. Sunday evening: After meeting Christian at the U-Bahn station near the B&B where he'd arranged for me to stay, he left me to freshen up for a while and then we went out to eat at a fun place called Mr. Kebab, which seemed a little more higher-end then most Turkish eateries I've been to in Germany. It was also super busy and full of people eating out, including multiple baby strollers. The best part was the way down to the bathrooms. The walls were covered with neon patterns, maybe made out of tape. After that, Christian and I went to Krogge, which one of his favorite bars. Apparently the special shots these days is called a "Mexikaner" ... want to guess what that is? I don't even know what kind of alcohol was in it, but it tasted like a very spicy cold tomato soup. You're supposed to chase it with beer, which I needed to cool the fire in my throat. There's got to be tobasco or some other hot sauce in it. Christian's looking for an apartment with two of his current roommates, and that's all we ended up talking about for a good part of the night. In fact, the bartender at Krogge was quite helpful with suggestions for places to call and random store owners to talk to. Apparently finding an apartment is difficult or worse than New York at the peak of... well, whatever. Not price-wise, but he said that whenever they go to see an apartment, there are lines out the door and there are often 50-100 people there. Many of the same people, actually. Some couples even bring a whole application packet with photos, recommendations, and account statements. Rent in Hamburg (and Germany in general) is way cheaper than Philadelphia. 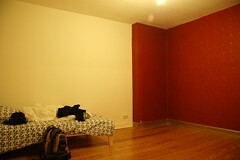 I think people (who live with roommates) pay around 300 to 400 euros a month ($390 - $520 at the current exchange rate). I think utilities are probably more expensive, since energy costs are higher in Europe in general. Regardless of the price, it's quite a cutthroat market, so if you know of a 3-room apartment in Hamburg, share the hot tips! It was probably more alcohol than I've had in a while (oh, did I mention we were drinking this whole time? ), and combined with the lack of sleep and exhausting day, I fell asleep really quickly despite my body being seriously confused by jet lag. Monday morning I went into the Jimdo (& Northclick) office at Stresemannstrasse 375, where I got to meet many of the current people who work there and see the brand spanking new office they moved into last week. My camera broke in Michigan so I couldn't take any pictures, but seriously, it's HUGE. There are whole sections of it which are currently empty. It's on the top floor, so it's got enormously high ceilings that go up to the metal roof. It rained a little (okay, it rained around a third of the time I was in Hamburg) while I was in the office, and the drops were actually a nifty gentle thrumming all around. Surprised me a first. The main people I talked with were Christian, Fridtjof (Fridel), and Matthias, whom I'd spoken on the phone with and met in New York at the beginning of October. It was definitely interesting to hear about their plans for Jimdo in the USA and for the future of Jimdo in general. Lots of really exciting stuff is in the pipelines, for sure. I also talked for a while with Amelie, who was the first country manager for Jimdo (for France & French-speaking areas). She showed me the type of stuff she works on, which helped me get a better idea of what the job will be like. So, what surprised me is that she answers tons of support questions, though it sounds like they're going to hire a friend of hers to take some of that load off of her. She moderates the forum, works on the (French) blog, translates the newsletter, runs the French Jimdo-support program, and looks for ways to promote Jimdo. She has a lot of interesting ideas and plans for finding partners, working with bloggers, for both new and old media. I also talked with Svenja, who is the online communications manager, and Steffi, who I guess is the community manager for Germany (or in general?). Oliver, the business development guy, was also an interesting and nice guy to meet, but he is leaving at the end of the week to work on his own startup Spielerkabine (lockerroom?) which got funding recently. It's got something to do with sports. I don't really know what exactly, since sports are not my thing, but it sounds like a cool idea. When we went out to dinner with some people on Tuesday night I got to talk to him a bit more, but it's a little weird/sad to meet people who are leaving. There's a big developer team, so I didn't get to meet everyone on it yet. It's good there's focus on the technical side and on the development of the site. (I wanted to say product here but that sounds so... sterile and evil marketing drone). It's frustrating to see sites and web stuff where the speed of innovation slows down and more importance is put on marketing than the core experience (which I guess also includes user support). Jimdo seems like a great place to work. My sense is that people get along, and there's lots of laughing as well as lots of hard work. Everyone works on their own projects, but there's a sense of excitement about a work-in-progress, everyone's pulling together to make it happen, good camaraderie, and there's one important goal in their sight -- to make Jimdo awesome!